We offer various types of logistical support. Our rates vary depending on the extent to which we intervene in the transport of people and material. We take charge of transferring all participants and hired material. Our role is to transport the group drivers who have dropped participants off at the launch site or who will go to collect them at the landing site (only for the downstream route, Sélestat-Huttenheim. > View our option). We take care of transferring the hired material. The group drivers are responsible for taking any necessary equipment (1 dry barrel storage drum per canoe max.) and any mandatory equipment (life jackets) for the whole group. The drivers should know the size of each member of the group as well as any particular needs the group may have. We only take care of transferring the hired material between the launch site and the landing site. Our service is limited to the transportation of the material reserved by the client. Only the information communicated when making the reservation will be taken into account. We invite you to communicate to us your needs in terms of equipment (dry barrel storage drum, generally 1 per boat), as well as each participant’s size for their mandatory equipment (life jackets). 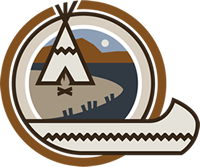 Any person who turns up at the launch site, but who wasn’t mentioned in the reservation, and isn’t therefore equipped with a life jacket, will not be able to participate in the canoe trip.